Joe. My. God. : No 2022 Olympics For The U.S.
No 2022 Olympics For The U.S. The United States Olympic Committee has decided not to bid on the 2022 Winter Games. Early contenders to host had been Denver and Lake Tahoe. The United States hasn't hosted a Summer Games since 1996 or a Winter Games since 2002, meaning there will be at least a 22-year gap between games on U.S. soil. The U.S. has been embarrassed during its last two attempts to land the Olympics. New York finished fourth of five finalists when it tried for the 2012 Games, which start in London this month. Chicago finished last in bidding for the 2016 Games, which were awarded to Rio de Janeiro. When Chicago lost, the USOC was widely criticized as contributing heavily to the loss because of its poor international reputation. This gives us further time to develop relationships with the IOC," chairman Larry Probst said, speaking to the fact that these bids are won as much through relationships as the pros and cons of the cities themselves. 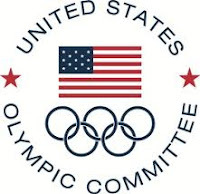 One of the major questions the USOC must decide is whether to go for a Summer Games, widely viewed as more prestigious and harder to land, or a Winter Olympics, where the bidding is less competitive. The London Summer Games open on July 27th. My mouth is still hanging open from the unforgettably spectacular opening of the 2008 Beijing Summer Games and I'm anxious to see what the Brits have put together.